Most of us wouldn't think of buying a new car without a “test drive.” It's a serious investment, so you want to make sure you're comfortable with your new ride. Like an auto purchase, the plan you and your dentist agree on to cosmetically enhance your teeth and gums — a “smile makeover” — is a significant investment. 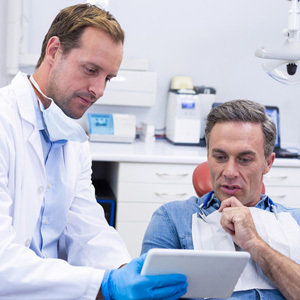 Wouldn't it be nice to “test drive” your future smile before you undergo any procedures? Actually, you can — two ways, in fact. For one, your dentist could use computer imaging software that alters a photo of your face to show how your smile will appear after dental work. These computer enhancements are a great planning tool for making decisions on the look you want to achieve. But even the best computer images only provide a static, two-dimensional representation of your new smile. It can't capture all the angles and movement dynamics of any proposed changes. That's where the other way, a trial smile, is a true test drive — you can see your future smile in action. With a trial smile, your dentist temporarily places tooth-colored material called composite resin on your teeth to simulate the proposed changes. The resin can be shaped and sculpted to create a life-like replica that you'll be able to view in all three spatial dimensions. What's more it will give you a chance not only to see what your new smile will look like, but to actually experience how it feels in your mouth. Creating a trial smile is an added expense and it's only available during your consultation visit — the dentist will need to remove the resin before you leave. But you'll still be able to get a good impression of what your final smile will be like. You'll also be able to take photos you can show to family and friends to get their impressions of your proposed new look. A trial smile allows you to know beforehand what your dental work investment will provide you, and even fine-tune your makeover plan before work begins. With this particular kind of “test drive” you'll have greater assurance that you'll be happy and satisfied with the end results.